1. Bagchi B. The statistical behaviour and universality properties of the Riemann zeta-function and other allied Dirichlet series. Ph. D. Thesis. Calcutta: Indian Statistical Institute, 1981. 2. Bagchi B. A joint universality theorem for Dirichlet L-functions// Math. Z. 1982. V. 181. P. 319–334. 3. Gonek S.M. Analytic properties of zeta and L-functions. Ph. D. Thesis. University of Michigan, 1979. 4. Karatsuba A.A., Voronin S.M. The Riemann-Zeta Function. New York: de Gruyter, 1992. 5. 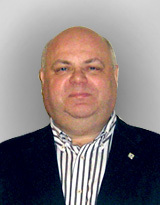 Laurinˇcikas A. Limit Theorems for the Riemann Zeta-Function. Dordrecht, Boston, London: Kluwer Academic Publishers, 1996. 6. Laurinˇcikas A. On joint universality of Dirichlet L-functions// Chebyshevskii Sb. 2011. V. 12, No. 1. P. 129–139. 7. Matsumoto K. A survey on the theory of universality for zeta and L-functions. // Proceedings of the 7th China-Japan Number Theory Conference (submitted). 8. S. N. Mergelyan, Uniform approximations to functions of a complex variable// Usp. Matem. Nauk. 1952. V. 7. P. 31–122 (in Russian). 9. Steuding J. Value-Distribution of L-functions. Lecture Notes in Math. V. 1877. Berlin, Heidelberg: Springer Verlag, 2007. 10. Voronin S.M. The functional independence of Dirichlet L-functions// Acta Arith. 1975. V. 27. P. 493–503. 11. Voronin S.M. Theorem on the "universality"of the Riemann zeta-function// Izv. Akad. Nauk SSSR. 1975. V. 39. P. 475–486 (in Russian) ≡ Math. USSR Izv. 1975. V. 9. P. 443–453. 12. Walsh J.L. Interpolation and Approximation by Rational Functions on the Complex Domain. Amer. Math. Soc. Colloq. Publ. V. 20. Providence: American Mathematical Society, 1960.